Longest time its taken for invitations ever. 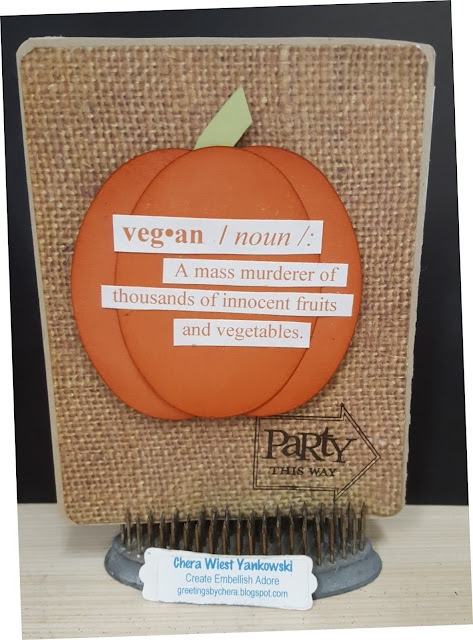 Why a Vegan Dinner party? A friend of mine has become a vegan (like just in the last 6 months or so)...and her husband lives/eats/survives as like a "viking". Meshing the two worlds to have alittle party. The party was a hit! Have a great day! Hug the ones you love! Thank you for stopping by! This vegan invitation is so cute. I am in love with it. Want to make cute handmade invitations for my birthday party that will throw at one of LA event venues. Taking best ideas for making them from my friend and online. She is an expert in making handmade items.